Back some 40 years ago, all it seemed anyone needed to play for the Aspen Junior Hockey (AJH) youth program was a stick, skates and a copy of Time magazine. The AJH organization started in 1972 with John McBride at the helm. A Princeton University graduate and former member of the U.S. Men’s National Team in the 1960s, McBride also played for the Aspen Leafs semi-pro team that attracted fans on weekend nights at the Ice Garden. “When John had kids old enough to play, the senior team basically turned into a group of coaches and they started getting kids playing the game,” said AJH executive director Shaun Hathaway. “Then in 1972, they hopped on a plane and went to their first tournament in Denver. It’s been going ever since. John remains a huge supporter of the program – he’s got grandkids in the program now – and so it’s pretty special for him to see how it was when it started, when they were basically using magazines for shin pads, to where it is today. Fast-forward to 2013 when Hathaway assumed his current role and AJH continues to be a valuable asset to the Aspen community. Three years ago, AJH had no Midget team, two Bantam teams, two Pee Wee teams, two Squirt teams, a Mite program, and girls 12U, 14U and 19U teams. For the 2016-17 year, 19 teams are part of AJH, including a Tier II 14U girls team and a 20U entry (and defending champions) in the Rocky Mountain Junior Hockey League (RMJHL). This season, Hathaway was also able to secure the coaching services of Blake Hull (Bantam A) and Dayn Belfour (Pee Wee A), both individuals with solid backgrounds and both sons of Hockey Hall of Famers (Bobby Hull and Ed Belfour). 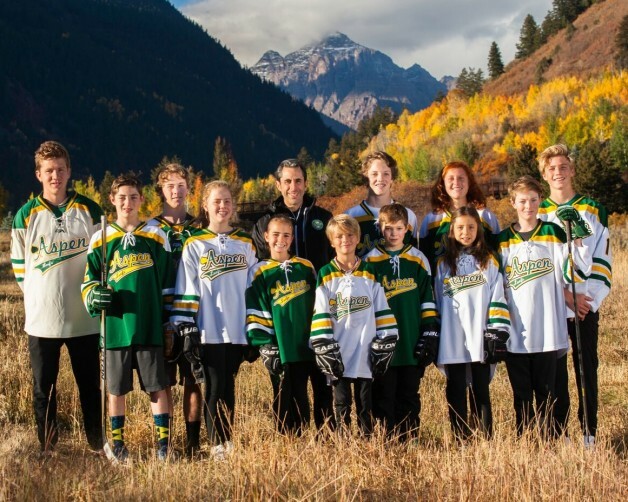 Another aspect of AJH that appeals to families is the cost to play for the organization. One family that Hathaway said is the model for what AJH is about is the Doremus family – Andrew and Jeanne and their five sons, Ryan, Tyler, Daniel and twins Jack and Willy. “Andrew started playing here in the 1970s when the program started and when he was raising his family, he had five boys that came through the program,” Hathaway said. “Now, they’re all great athletes, great skiers and being here in Aspen paid their way. Their hard work – they used what they were learning and put it to use. They are all a shining example of what our program here is all about. As for the Leafs junior team, Hathaway said that came about in a roundabout way to solve a nagging problem within the organization. It also never hurts when to win a championship in the inaugural year. “Always makes things much easier for Year 2,” quipped Hathaway. With all the growth and success AJH has endured, how much higher can Hathaway raise the bar in Aspen? “Bringing in the head of Finnish youth hockey (Finnish Ice Hockey Association manager of youth hockey operations Kalle Valiaho) this season to exclusively work with our program for six months – not sure how much higher I can raise the bar,” admitted Hathaway. “The key will be to follow through on what we’ve built to ensure we continue to execute at a world-class level and take advantage of the things that are in front of us.